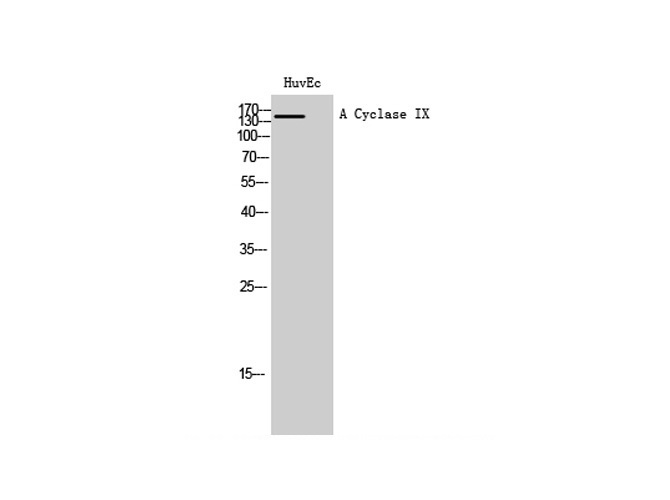 Western Blot analysis of HuvEc cells using A Cyclase IX Polyclonal Antibody at dilution of 1:1000. 1. The stronger TNF-alpha responses in young males compared to females may be partly associated with male-specific down-regulation of ADCY7 and ADCY9.